HDP deputy co-chair Hişyar Özsoy released a note on the irregularities after the 31 March local elections. Sinn Féin is a euro-critical party. There are fundamental questions to be asked about the direction of the EU, said Sinn Féin president Mary Lou McDonald. Economist and writer Mustafa Sönmez was taken into custody this morning for comments he posted on social media. Zurich and Lausanne joined series of silent demonstrations held around Europe at the weekend. The Tahir Elçi Foundation founded in Sur to honour the murdered president of the Bar Association. A demonstration to protest the silence of the European institutions on the hunger strike resistance was held in Frankfurt. Since yesterday morning, five internationalists have been on a solidarity hunger strike for three days to demand the end of Öcalan's isolation. Last night, they visited the four Kurdish activists who are on an indefinite hunger strike in Berlin. 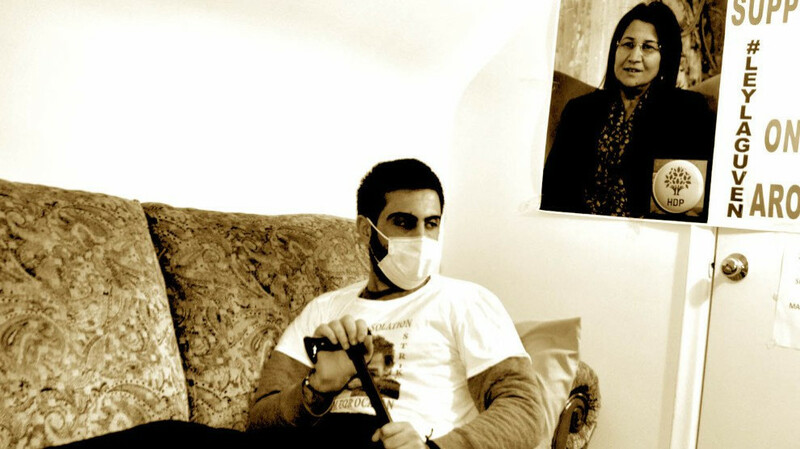 Kurdish hunger strikers Yüksel Koç and Deniz Sürgüt, who were hospitalized earlier today, have refused treatment and continue their protest. Two of the fourteen activists on indefinite hunger strike in Strasbourg, France have been hospitalized. 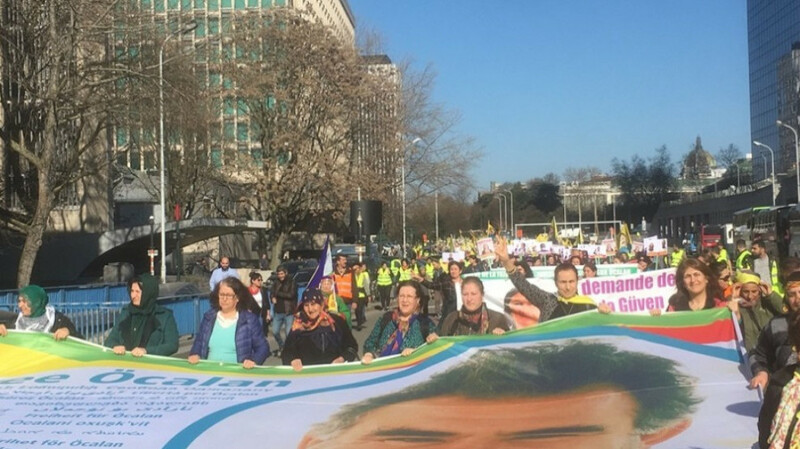 Hunger strike activists stressed that Ocalan is in a key position for the solution of the Kurdish issue and for peace in Turkey, and requested that the Amnesty administration take initiatives to end the isolation. The police has surrounded the HDP Amed offices and is preventing HDP MPs and co-mayors from issuing a statement to draw attention to the isolation and hunger strikes. 4 Hashd al-Shaabi members were wounded in a clash with ISIS in Khanaqin, southern Kurdistan. Sinn Féin MEP Liadh Ní Riada has said "Sinn Féin is fighting for Ireland and a radically transformed European Union." 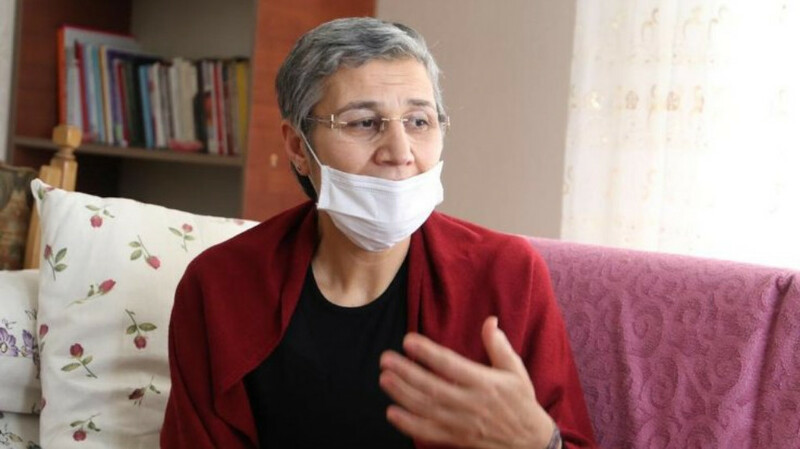 "Without an urgent initiative of the international community towards Turkey many other [hunger strikers] are at serious risk of death or otherwise of suffering permanent damage." The application filed by families of Kurdish People's Leader and the other three prisoners held in İmralı were rejected again. Italian YPG fighters Giovanni Francesco Asperti and Lorenzo Orsetti, who lost their life in Rojava, were commemorated in the Italian city of Alessandria. A number of academics and artists, including Esther Bejarano, the survivor of the Nazi Auschwitz concentration camp, published an open letter addressed to German chancellor Merkel stating the need of ending isolation. The police have made problems to activists as they continue their action in the solidarity tent they put up in Dortmund. MPs from 3 political parties in the Geneva Canton in Switzerland took the hunger strikes against the isolation to the Geneva Canton Parliament. Kurds on a hunger strike in Stockholm demanding an end to the isolation imposed upon Ocalan visited the political parties in the parliament and demanded that they take a stand against the isolation.